we spent two days in Minsk, slowly getting familiar with post-Soviet culture. We, lucky Europeans, benefit from the largest and best developed railway network in the world. Using night trains, we can hop from one capital city to the next and get to discover them. Now, to make it clear once for all: no, night trains do not mean sleepless nights and low comfort. 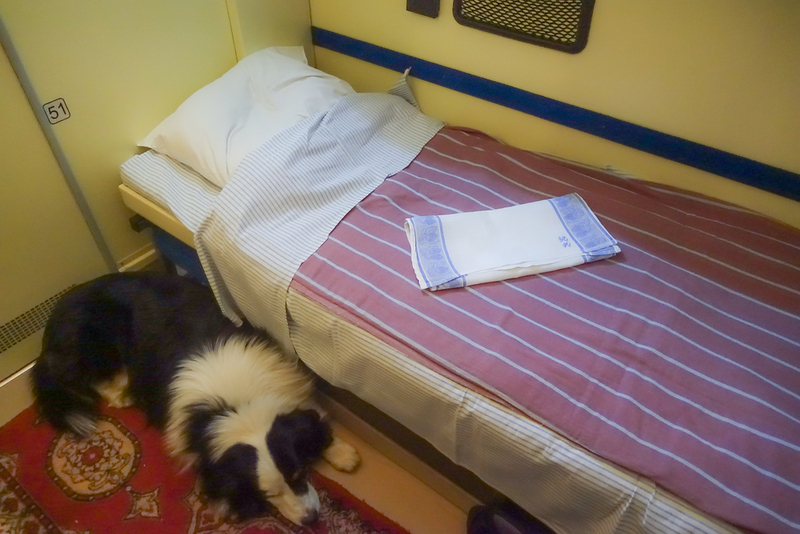 Those trains offer 2-bed compartments, most of them equipped with your own washing corner, towels and soap, a small closet to hang your clothes, drinking water, and even breakfast with hot coffee in the morning. In each corridor, you will find a shower in most trains, and they also offer a bar and restaurant where meals are served at the table. Depending on the booking, travelling in 2-bed compartments in night trains can be more expensive than travelling with the plane. However you will save money on accommodation as you are sleeping on the train. Also, the railway stations of capital cities are always located within or close to the city centre. You will not waste any time travelling to the airport, waiting there for two hours before boarding and you will be able to bring back anything you want in your luggage. Enjoy your next train ride and stay tuned for our Slow Motion stories in Russia!